What’s good? As you can tell by the state of my Alpinestars boots they’ve had a hard life, but survived some real abuse. I occasionally wear them on the bike in summer, especially if I’m riding something under 250cc like a Honda CBR125 or scooter for example, but they’ve also had a tough life away from bikes including three very wet, muddy Glastonbury festivals. 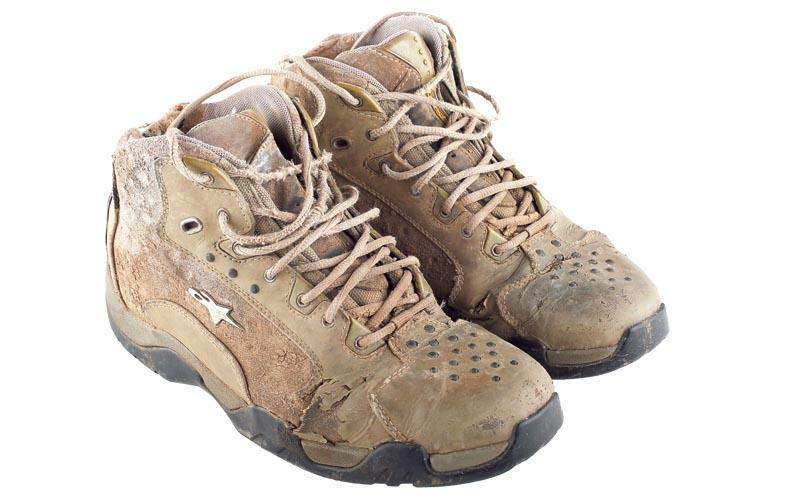 They are comfortable, like a good hiking boot and robust enough to be used on the bike. They have added protection over a normal boot such as a metal shank in the heel and arch area. What’s not? My old style boot has been replaced by the CR-4 Gore-Tex, which is just as comfortable and robust. they’re expensive but you get what you pay for and my old boots survived six years of serious abuse, which I think is good value.